As the third-most populous city in the United States, Chicago is the urban jewel of the Midwest. Renowned for world-class architecture, countless parks, and Midwestern charm, the Windy City is loved by visitors and locals alike (even throughout what seems to be an endless winter year after year). 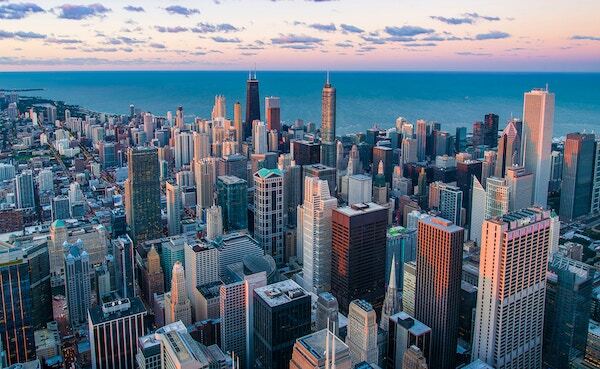 Some people consider Chicago to be a cleaner, more hospitable version of New York City, which perhaps contributed to it being the second-most visited city in the US in 2018. At any rate, Chicago is definitely worth exploring, and Bounce is here to watch over your things while you do so. Do you live and work in Chicago but don’t want to be held back by your bags when traveling from one neighborhood or activity to the next? Store your things with a Bounce partner so you can live your life lightly. Are you making a trip out to Chicago for work or play? Perhaps the logistics of dropping off your luggage and maximizing your time in the city are at odds, or maybe you’re backpacking it and want to lighten your load during the daytime. No matter the situation in which you find yourself, luggage storage in Chicago with Bounce is as easy as 1-2-3. Bounce is happy to provide on-demand luggage storage in Chicago for affordable daily rates all around the city. We’ve kept the city’s most visited areas, attractions, and hubs of transportation in mind when partnering with local businesses so that our valued customers have the greatest access to bag storage in Chicago.